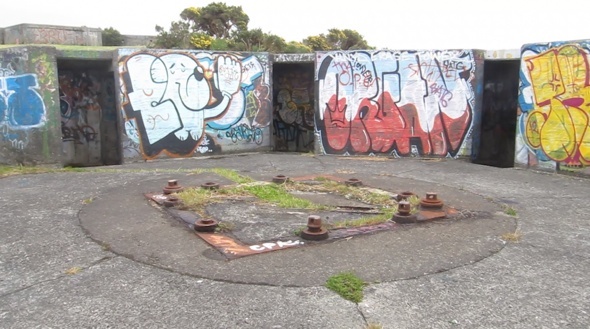 These gun emplacements date back to World War II, and after a quick search I found the one I was at here These octagonal concrete structures housed anti-aircraft guns and back when we were working on 30 Days of Night we did some recording here, and inside the gun emplacement bunkers got some great wind drafts for the scenes where everyone is hiding out in the attic while a blizzard is going on around them. So with a gale force southerly wind I figured I’d see if I could get more of the same. I went over to the first bunker but it was too sheltered from the wind, so I headed over to the bunker that was directly facing the south and from the outside it didn’t seem that promising, but as I ducked down & into the short tunnel that led to a fully enclosed bunker I could not believe what I was hearing! It was quite overwhelming to be in that space! I was glad it was daylight as I’m not sure what unsavoury characters I might run into up there at night, but when I was shooting the video below it made me think of all the horror film cliches, particularly the one where someone enters an old WWII bunker and the further in they go the deeper the sub bass drones become, until…. FWIW that is sync sound (from the mics point of view, not the cameras of course. But at the end of the shot I clicked my fingers & spoke a verbal ID just so I could sync it) From outside the bunker room you could only just hear and feel the low frequencies – the blustery wind in the trees etc was the predominant sound…. 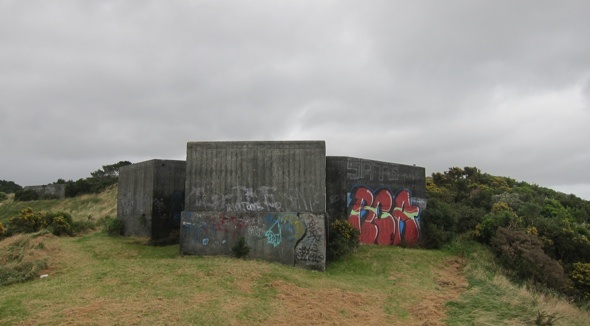 but inside that bunker it felt a little like being inside some kind of ambient subwoofer! 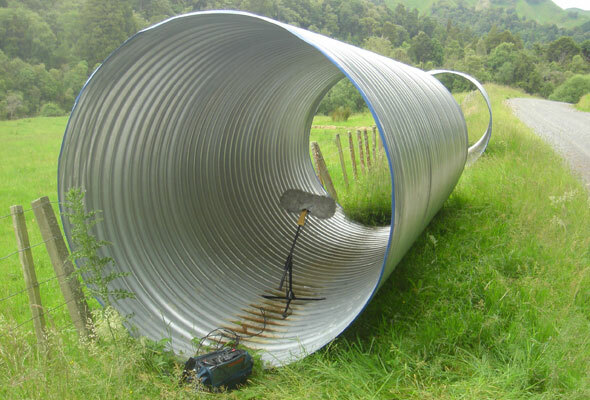 I knew I’d get some great sounds from the recording those aerials up top of the hill in such strong winds, but discovering totally unexpected sounds like these is what field recording is all about! And it sure beats sitting inside complaining about the weather…. I’ve had three emails today from people asking advice as to what gear to buy when starting out doing field recording, and rather reply to them directly I thought I’d write some ideas down here, primnarily so I don’t have to keep answering a recurring question but also so others can comment with their advice, experiences & to also reccomend other resources online. But here is my take on it…. 2. Whats the intended purpose of your recordings? 3. How long term are you thinking? Is this a hobby, a whim or the start of a career? These three questions are all related. Your immediate budget will be the primary limit of your options, but Q2 and Q3 will inform how that budget should be considered. One scenario is that you are considering a one off purchase with no intention to spend further money. Option two is that this purchase will be the first of many. 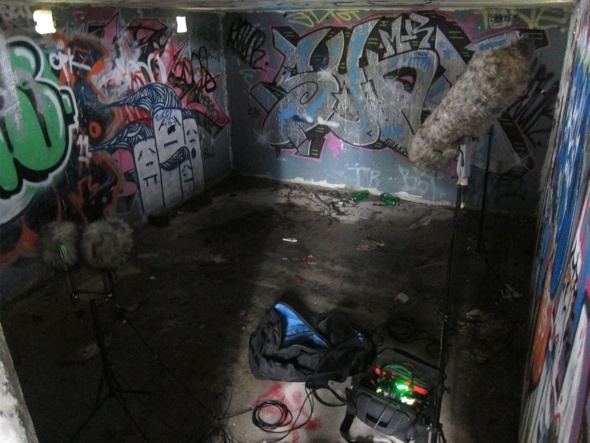 In fact if sound recording is to be an important part of your career then you will be starting a journey of endless upgrades, and this fact (because it IS a fact) means it is worth thinking & planning long term, from the outset. So the easier scenario to discuss is the one off e.g. 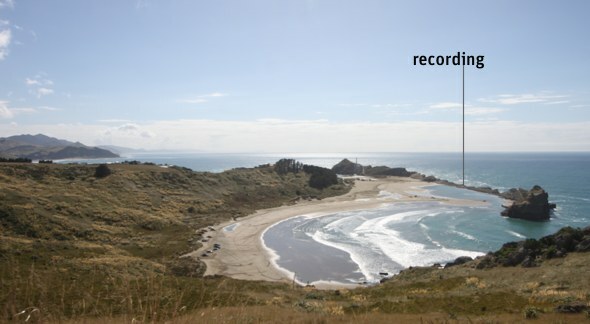 you’re a muso who would like to do some field recording for your own work; whether its recording your acoustic guitar/whatever while on holiday or away from computers, or recording demoes, or collecting some ambient or found sounds, or a student on a budget. Likely in this case the best option is a portable handheld recorder, the make and model of which I don’t have time to research & make specific reccomendations, but one thing worth considering is that while most portable handheld recorders have built in mics, if you want the option of using other external mics then you likely have to pay a little more to get a portable handheld recorder with XLR mic inputs, and it may be worthwhile pursuing…..
Another bit of advice when buying any audio gear: try it before you buy it! Chances are you wont be buying a serious bit of audio gear very often, so you don’t want any surprises when you do – you want to know what you are buying and you also want to have tested it, handled it, recorded something with it & have a feel for how it behaves & performs. Tell the company you are potentially buying from that you need to test it, if they don’t have a test model available try another company or ask around and find someone local who has one & ask to borrow/rent it for a day. Go record some stuff, load the recordings and have a listen. 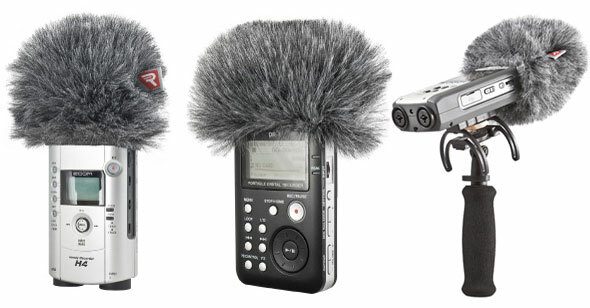 Also: when you have settled on which portable recorder to buy, do some more research and budget for some proper wind protection for it, like these mini Rycotes. These little recorders often come with a thin foam cover which is maybe useable in very light wind but you do not want to ruin a good recording by discovering the limitations of thin crappy foam. And wind takes many forms apart from the literal eg the woosh/wind gust of a train passing or a bamboo stick swishing or whatever…..
Now before you dive into researching which model, a little bit of pragmatic advice: you get what you pay for. 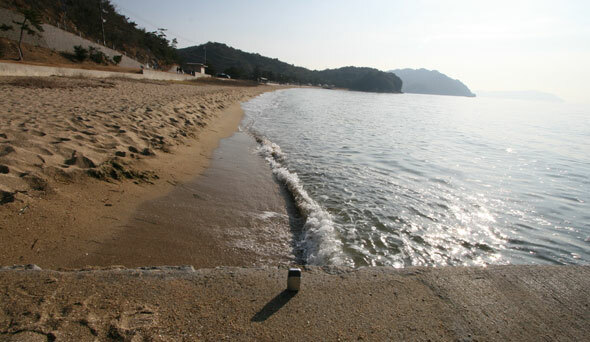 When I bought my Zoom H2 I was on holiday in Japan and I bought it because when travelling light it was impossible to take my full record kit. 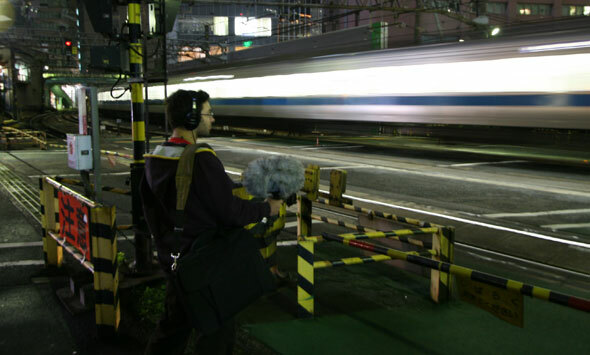 I’d done a bit of recording in Tokyo and met up with David Vranken, a good friend who I’ve worked on a couple of films with (Number 2, 30 Days of Night) – he was in Japan working on a film and collecting sounds for it, so he DID have his full record kit, a Sound Devices 744 and Schoeps MS rig. I was buzzing out about having the Zoom recorder and made him have a listen, he smiled and gave me his headphones have to a listen….. and well, it was like chalk and cheese. You get what you pay for. Don’t go expecting miracles from a tiny cheap recorder with built in mics. If my Zoom h2 cost US$300, then the mic capsules might be worth US$50. You do not get miracles with a $50 mic capsule. You defintiely can record useable sound with them but don’t expect to be recording very quiet ambiences or very quiet sounds where you need to crank a lot of gain and don’t expect to have the same clarity and definition of professional microphones. You get what you pay for. But in my situation on holiday: without the Zoom h2 I would have recorded no sound, and any sound is better than no sound, even if its only useful as a reference. So here’s a few sites to read reviews and compare portable recorders, just be aware new models are being released all the time. When I started out my first recorder was a new Tascam DAP1 portable DAT machine (approx US$1000) and a secondhand 416 shogun mic (approx US$1000). The DAP1 was only 16 bit and had fairly noisy preamps if you cranked them much. But I recorded a LOT of sounds with them that have been in films and are in my library and will be used in other films in the future. (And an interesting factoid for any snobs who disregard gear if its not high 24bit 96k etc: all the sound editing for many Oscar winning films was done 16bit 44.1kHz, just as before that many great films were edited using analogue tape) But its an important side note to remember: its not the gear that records interesting sounds, its the person operating it. I bought my first recorder after spending 3 or 4 years of working full time in sound post. If you are starting out, you need to learn to walk, get some experience, make a lot of mistakes, get frustrated & find determination to keep learning before you should dream of running. Aspirations are good and important, but reality dictates you need to learn through experience, through doing, a lot! My first disk based recorder was a Fostex FR2 – the leap up to 24 bit was instantly apparent and so was recording at higher sample rates. The preamps were way better than the DAP1 and at last I could load my sounds faster than real time (although there IS a benefit to loading off DAT – you were forced to listen to all your recordings in a pass without being about to mess with it). I think it cost me more like US$1500 new. About this time I also bought my Sanken CSS5 mic (secondhand US$2k) After 18 months or so the FR2 died, it wad during 30 Days of Night and I remember the moment: we had gone on a field trip to one of the most revolting places I’ve ever been – a factory that disposes of medical wastes by incinerating it at very high temperatures. 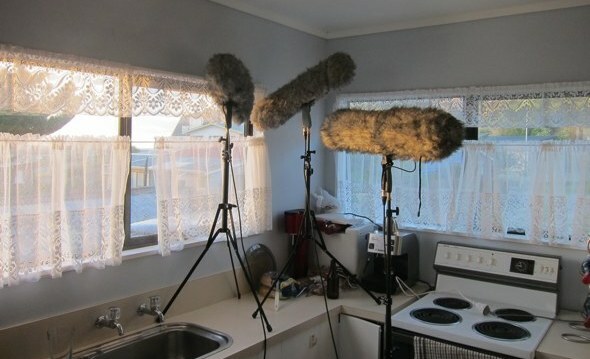 We needed these sounds for the ‘Muffin Muncher’ in the film and I was recording with a contact mic on a pipe when it made this weird frequency ramping sound followed by silence… As it turns out it was an ominous silence, after getting it checked out it became apparent it was not worth fixing – the cost was prohibitive. So I was forced to upgrade again. My FR2 – rest in peace! Slowly I picked up more mics – a pair of Oktavia MK012s (new), a Trance Audio Contact mic (new), some dynamic mics EV RE27, AKG D112, a cheap AKG (secondhand) then a Barcus Berry contact mic (new) then a Sennheiser MKH70 (secondhand). then I bought a second recorder last year, a secondhand Sound Devices 744. Then a Sennhesier MKH816 (secondhand), then sold it and bought a second MKH70 (secondhand) and also bought a pair of DPA 4060s (new). The reason I recite all this crap is this: do you see any patterns? Firstly, I’ve upgraded my recorder four times but the mics I’ve generally added to my collection but (mostly) not sold them. 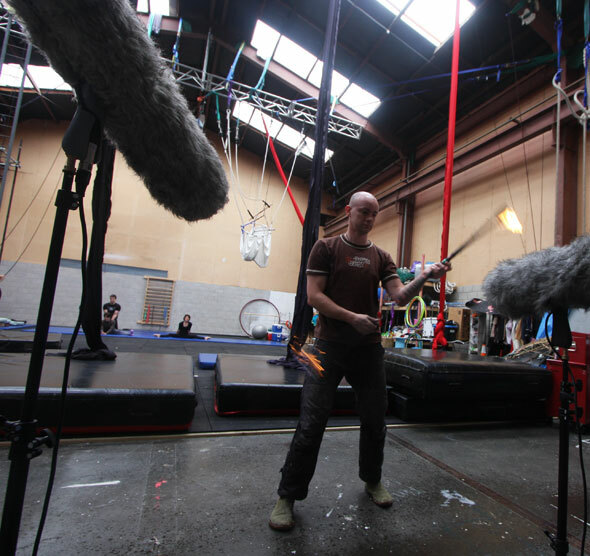 Microphones for a sound recordist are like lenses for a photographer or cinematographer, you may only have one recorder but half a dozen mics. Investing in a good recorder means it will last longer, but they are based on technology that is still advancing fairly rapidly and 2 years after your purchase you may well be replacing your recorder, and its resale value will have plummeted. Another thing to note: microphones are a bit like cars, you pay a premium to buy them new. As soon as you take them out of the store they lose their value drastically. 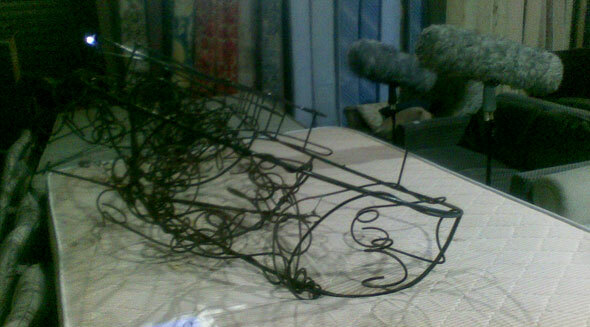 The last MKH70 I bought I paid US$1500 for it, with full Rycote fluffies etc. Thats a US$1800 mic new, and the Rycote and fluffies would probably add another $750 to it, so I saved approx US$1000 by going secondhand! And other than when a mic is newly released or idiosyncratic/rare & not available secondhand, I would always prefer to buy a better mic secondhand than a lesser mic new. But thats just me, trying to make my budget go as far as possible, and get the best gear that I can afford. Recorders: Apart from their build quality, design & features, I personally think the C-Link feature on the Sound Devices recorders is truly genius! It means you can add tracks as you can afford to – start off with a stereo 722 or 702, and when the need arises either buy or borrow another one! And by borrow I really mean contra: its likely you know someone else in the same situation as you locally, so loaning them your 722 when they need it means the same is true vice versa. Buy that C-Link cable! But there are plenty of other options of recorders and everyone has their favourites – my FR2 was a good machine while it lasted. So feel free to suggest others in the comments. This is where it gets tricky, but you will likely want to get a decent shotgun mic to have the sensitivity & directionality to get satisfying results. My first mic was a 416, I did a lot of recording with it and often borrowed a second one when going ambience recording. I still have the mic but very rarely use it as I like my other mics more – the tone of the Sanken CSS5 is better to my ears and when I need it, the directionality, tonality & reach of the MKH70 is far superior to the 416. But that 416 would still get very good results. Whether you invest in MS or a stereo mic or discrete mics is really a personal choice, and one that you will be making and reconsidering throughout your entire career. I’m very happy with the mics I have, but I would LOVE to try the new Sennhesier MKH8060s and 8070s. I’d also love to trial the Sanken 5.1 mic, and the DPA 5.1 mic. But it will likely take a specific project to justify it. The other stuff: cables, microphone mounts, wind protection, headphones, bags – these all take research, experience & trial & error to find what best suits you. 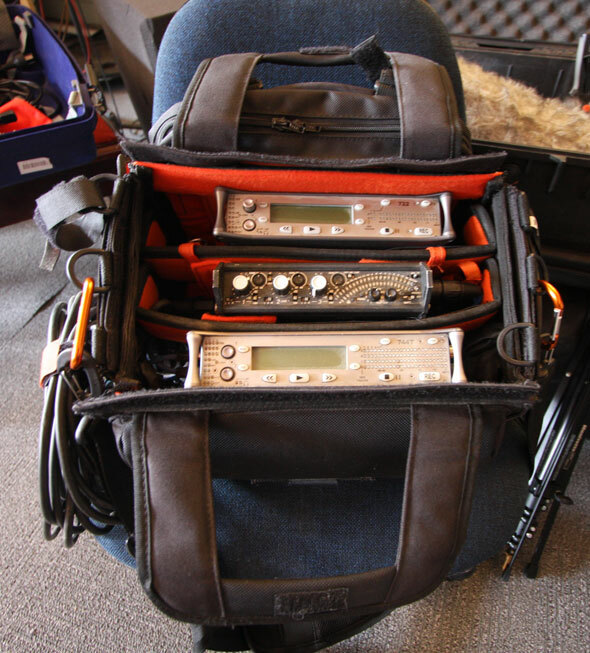 Its evolutionary, so if you are thinking about starting out and buying some field recording equipment, then know this: you will be going through the same decision making and assessment process constantly. Its not that we are all gear freaks in and of itself, what matters is the results – THAT is what should most inform your evolution. Ease of use & efficiency is important, but if that was all that mattered then we’d be back at scenario one: a pocket sized portable recorder. But the best results come from knowing how to use your gear and evolving it as you learn. What would you give higher priority, your first recorder or the mic? Say you had a US$3000 budget for a starter field kit, how would you spend it? UPDATE: THANKS to all the people who have commented with suggestions! UPDATE 2: I’m also happy for people to comment with links to trusted equipment suppliers for field recording & production sound, apart from actual manufacturers like Sound Devices or Sennheiser etc I also mean rental and equipment resellers who specialise in production sound. Prompted by Nathans post about rattling windows I thought I’d dig some files out of my library/archive that are related, but self generated rather than naturally occurring. But first the back story as to why I made these sounds…. Back in 2004 I was working on a horror film called Boogeyman – it wasn’t the greatest horror film ever made, we were stuck with a not-so-great VFX bad guy who really wasn’t very scary. We’d be working on the film for a month or so and had tried a lot of approaches as to how to make him more scary. We’d tried all the obvious approaches – stings, tones etc and were kind of stuck… Back then my kitchen & dining room was right next door to my laundry i.e. they shared a wall. I’d put some clothes in the tumble drier one night and set it going and when I went back to the kitchen I noticed all the wine glasses were rattling due to the vibrations from the tumble drier. Hmmmm I thought… This has possibilities – not in itself, I couldn’t record the glass rattles without the tumble drier in the background. But the idea was interesting…. I thought about it overnight & came up with this concept: what if just before the Boogeyman appeared, everything in the room began to resonate. If this happened in real life it would freak me out and in hindsight I guess an earthquake would be the only real way it could. But the next issue was how to generate the sounds in a way I could control them. The next morning I did a quick experiment and realised I was definitely on to something, so I spent half the day playing with this new technique. Basically I took my subwoofer, a JBL LSR 12P, and lay it on its back. I then collected up a few props and very carefully lay them above the sub, supported so they could move/rattle without falling into the subwoofer. Then I got my SH101 analog synth and made a nice pure sine wave sub bass sound and played it through the subwoofer. Depending on how I bent the pitch, the subwoofer would pass through the resonant frequency of whatever object I sat near it. Wood seemed to have a narrow range of frequency whereas hollow metal objects and glass was broader & more sensitive to vibration. So I set up a mic and recorded the objects rattling as well as a split direct feed of the sub bass sound. When I came to use the sounds in the film I could check what sub was generating it and choose whether to use it seperately or not. And because the sub was so low in frequency it was very easy to use a HPF to filter the sub sound out of the rattles, so I ended up with discrete elements…. I processed some of the sounds further. In the film there is a scene where the hero is at an office party and thinks he hears the Boogeyman in the air conditioning duct. I got a 2m long piece of air conditioning duct and lay it on top of my subwoofer and it was easy enough to find resonance in it and make it vibrate like crazy. I then took some of those resonance recordings and printed them through impulse responses to give them some distance, and then printed the results of that through the Waves Doppler plugin. You’ll hear some of these sounds at the end of the soundcloud file below… Have a listen but be warned, if you’ve got a subwoofer prepare to have your room shaken up a bit… and if you don’t have a sub prepare to have your monitors distort as they try to replay some seriously low frequencies! I used a similar technique to create elements for an earthquake for the film Under The Mountain back in 2009… By recording seperate resonating elements it meant we could pan & place them around you in the theatre, and also move them, making it seem like the earthquake passed through the house, from the kitchen to the lounge & down the hall…. 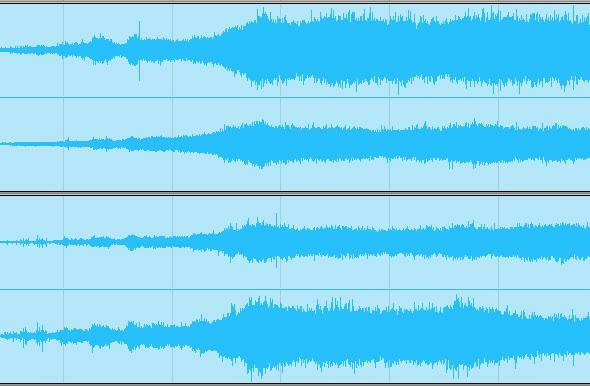 As with many techniques, the results vary greatly depending on what props you use, so I’m sure its a technique I’ll use again in the future when the occasion arises….. Its really a form of worldizing, except rather than re-recording the natural acoustics you are re-recording resonance… fun! Anyway heres some sounds I recorded, after recording with the Sanken I switched to using a contact mic and Oktava – the sub is phenomenal!! When I was recording I got a bit discouraged as my headphones kept rattling & distorting, but it was just bottom end overloading my headphones, not the recording! There are some sounds amongst the recordings that I just know will make very interesting impulse responses! Here in Wellington my favourite is Brennan Building Recyclers in Lyall Bay, who are super helpful. Every time I visit they remember my name & share funny stories about what the art department from certain films are hunting for… Half my resonant metal library (soon come on HISSandaROAR) is sourced from here, for $5 a prop, although I’ll happily pay ten or twenty times that for a prop that gives me a sonic-OMFG-moment! The owners of Brennans, god/jah/buddha bless them, don’t mind me walking around hitting things & listening to them… picking things up and hitting them on the concrete floor etc… Its all part of the job! 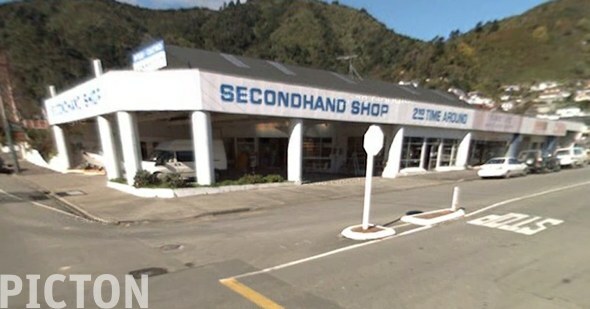 Another favourite for me, although visited less often, is a big junk store in Picton. I can’t remember their name but its on the corner about 2 blocks from the waterfront. Down south is way less populated & accordingly rent is cheaper and a junk store has room to expand. My last visit was on the way back from New Year at Mistletoe Bay, I had a few hours to wait for the ferry back to Wellington & thoroughly enjoyed collecting up such things as a 20kg solid metal crowbar ($25) which rings like a bell, but could smash open pretty much anything… And a dozen spanners, wrenches etc… When the owner asked what I wanted them for and I started to explain, he interrupted me “Like Rolf Harris?” Yes, exactly like Rolf Harris… except crowbar, meet piano…. Weird old books & records they have lots of, but its usually the more physical props I am searching for. But when I say I am searching for something, really it is the props that find me. Its a lot like having a hunt through the jazz section of a secondhand record store. The gems are all there, waiting to be found; the onus is on you to be both well informed and open minded enough to acknowledge the potential in things that 90% of the population might describe as ‘junk’. The other point was this: ask and you shall receive. You probably know I’ve been working on this Cirque De Soilel 3D film for the last few months, and some aspects of it have been particularly challenging eg I spent three quarters of a frustrating day on 20 seconds of footage that is too fast to assess in real time. I have literally had to edit & tweak this particular sequence with ProTools running at half speed (SHIFT Spacebar) But the project has required some seriously lateral thinking eg for an extended sequence such as Bateau, where the hell do you get a prop like that to record?? As you can see their rehearsal space is a huge warehouse with a 10m high ceiling including a gantry crane. 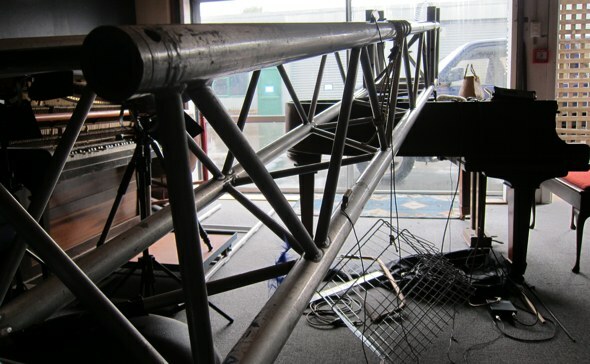 They have all sorts of trapeze systems rigged up and I’ve spent a bit of time in there recording various material for the film, but I noticed they had a big collection of aluminum rigging scaffolding stacked against a wall and as soon as I tapped it I knew I’d found another source for Bateau. Below is a photo of one of the three metre long pieces resting on my baby grand piano next door at my studio. 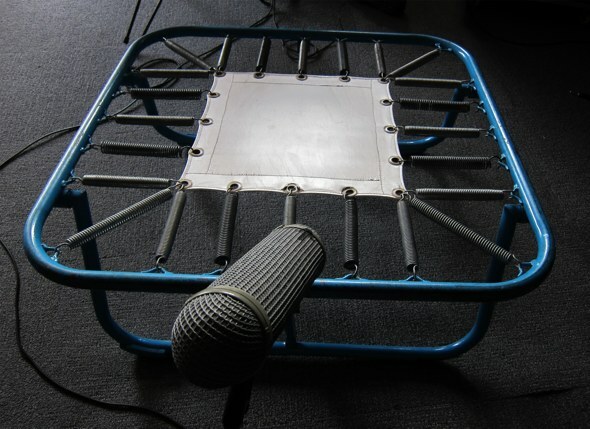 Some of the best sounds I got from it were using my two contact mics and performing very very subtle movements with it. As you can well imagine the Cirque performers are very refined in their movements and the last thing anyone will want in the soundtrack will be great loud metal clanks. 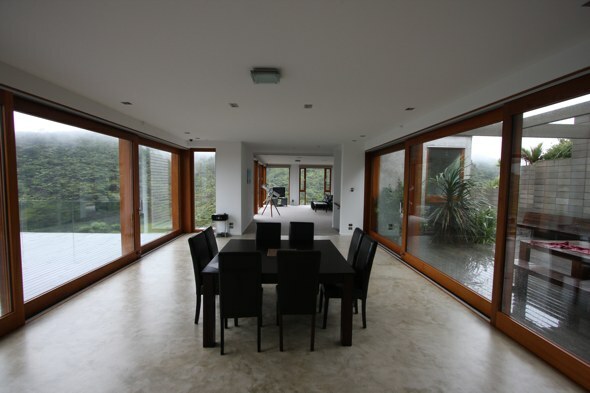 So its been a very restrained process of creating evocative presence…. Anyway….. your mission, should you choose to accept it, is to go make a new friend. At a junk store. Spend $30 minimum & buy at least three props. Last weekend I bought a bag of old school marbles for $5. The junk store owner made corny jokes about losing his marbles… and me finding mine, but I knew as soon as I saw them that these marbles will find a role in the Tortured Piano library, because well…. have you every heard granular baby grand piano physically generated by a bag of marbles? Me neither, but thats about to change…. 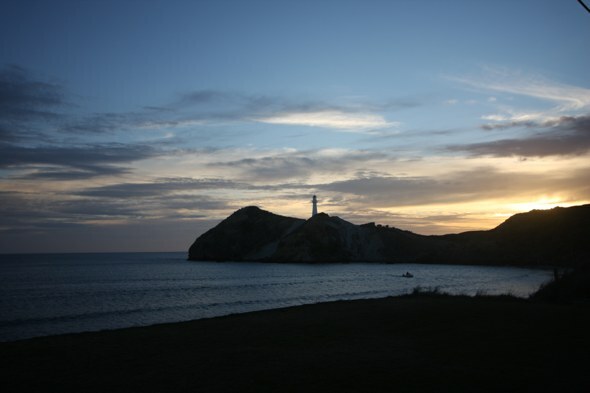 btw at Castlepoint those were just two random strangers “just being nosey’ – I gave them the headphones, while I boomed for them….. “sounds like thunder! !” Funny thing was a couple of their adult children came wandering along ten minutes later, almost apologetic for their parents curiosity. I was tempted to lecture them; curiosity is a GOOD thing, it gets you places and gives you experiences normal people do not get. Sounds. Like. Thunder. Indeed!! Frustrated at not being able to record the sounds I was here for, I reverted to shooting photos… but in the back of my mind I was thinking what if tomorrow is the same!?! 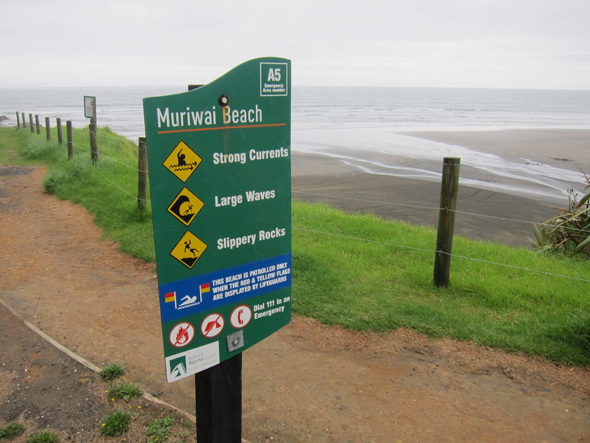 Did a bit of recording round the rocks but nothing too startling, so then packed up & headed to Muriwai & wow!!! Once the tide was coming in that sign was an understatement! 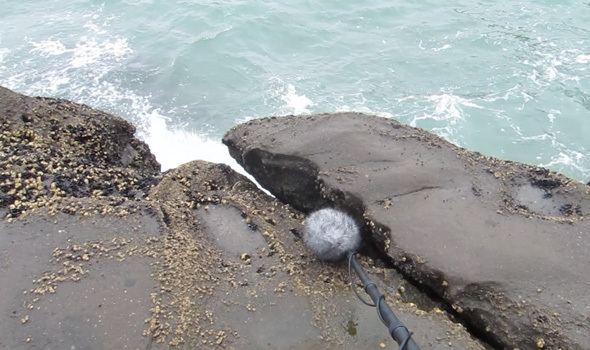 The sound of the ocean is very interesting when it is constricted – all that energy & force has to go somewhere, and in this rocky inlet known as The Gap I recorded a lot of big powerful wave crashes, with that lovely delay as the spray splashed on to the rocks in front of me. I’m going to borrow a quote from a great interview with Richard Beggs because it sure applied to finding this sound: “A location reveals itself in unexpected ways” – amen, brother! But these rains are but a shadow of the gorgeous rain experienced in Samoa. 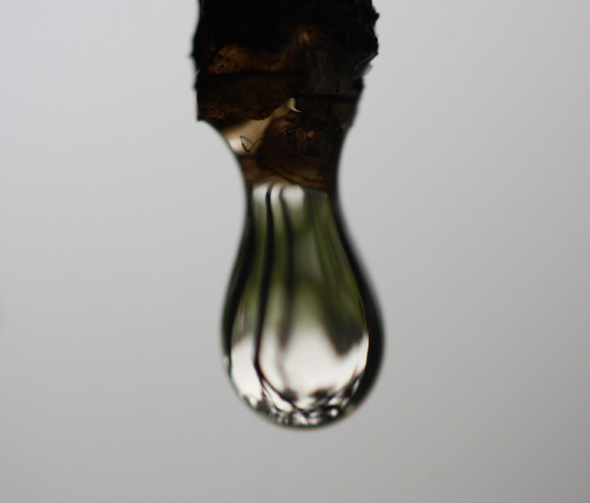 There rain has a very distinct character, and a distinct envelope. 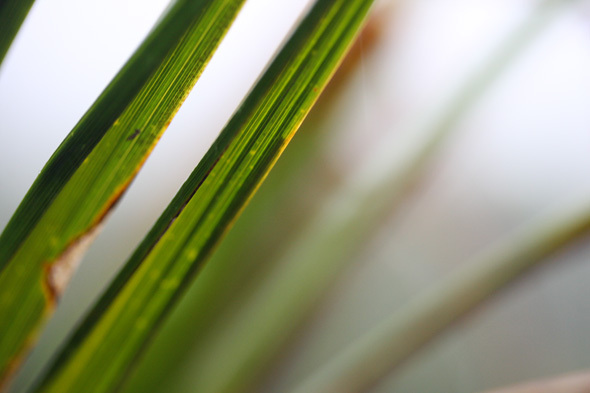 The climate will already be very humid & rain brings with it huge relief. 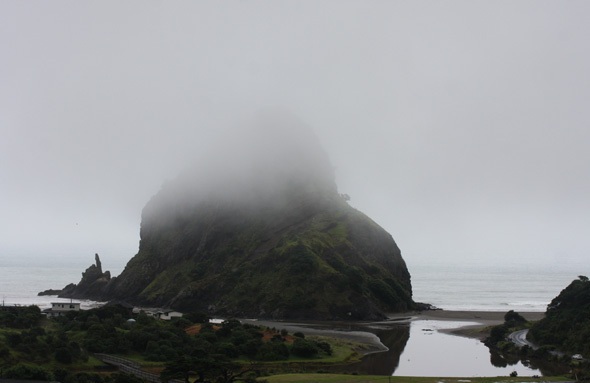 Locals often do not even bother to shelter from it, as they know half an hour later they will be dry again – Samoa really is winterless, and I suspect will be where I escape from New Zealand’s winter in future. 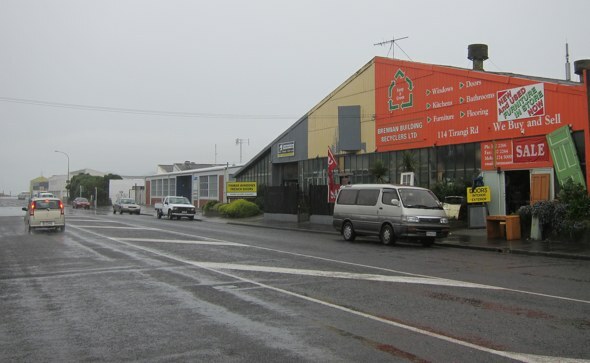 But rain in Samoa does not arrive unannounced. I was told many stories of an approaching torrential rain storm sounding ‘like a freight train’ and I heard that distinctive approaching rain sound only once on the last trip & it’s true. I at first did a double take: there are no motorways near here! Then a big warm gust of wind pushes past you and within 30 seconds the rain starts. In the film that I’m working on O Le Tulafale (The Orator) rain arrives three times, and each time it has both literal and metaphorical significance. Accordingly recording rain while I was in Samoa was on the top of my list, but I needn’t had feared of a drought – we arrived at the end of the rainy season and rain was not in short supply. 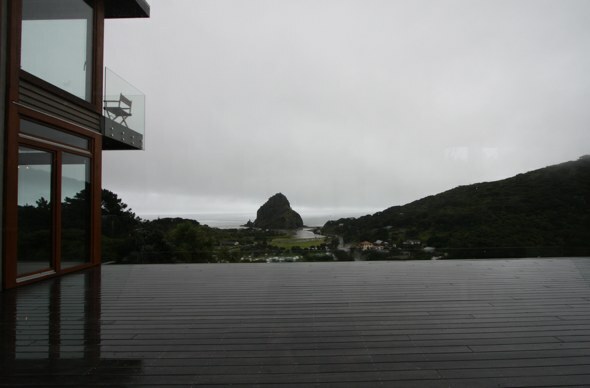 After 3 days of off and on rain I started to fear the reverse problem, but there is one thing you can be sure of on a small island nation, NZ included; the weather is always changeable. And that close to the equator it is never cold. But I was very glad I bothered to pack a little travellers brolly, and had those two rain covers for my gear…. It would be very frustrating to lose some serious technology to the elements, just because you weren’t properly prepared. A brief description of this video: it was very hot, 35 degrees Celcius & we set off to a plantation – first a 20 minute drive over a very bumpy road then a 15-20 minute walk through bush. You can see in the video how much of a track there was (i.e. none) – I was following Tusi (director of the film) who was following Samu. After about ten minutes I was ready to stop: why go further? the ambience hasn’t changed much…. But with 20kg of gear on my back I was doing well to keep up with them both, and they weren’t meandering. When we arrived at the shelter (a tin roof supported by four stakes) and the rain started I suddenly realised why they had been hurrying: it was about to bucket down! The sound in the video is about 2% of the experience, apologies but I am keeping my best efforts for the film not my little tourist videos! 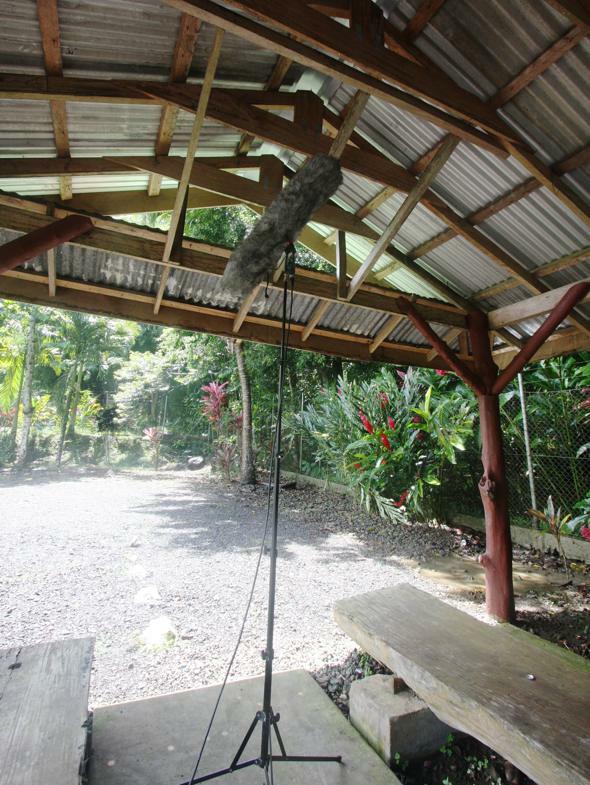 I recorded five different rain storms while I was in Samoa, each in a different location…. But the experience of recording this particular one is permanently imprinted in my psyche…. 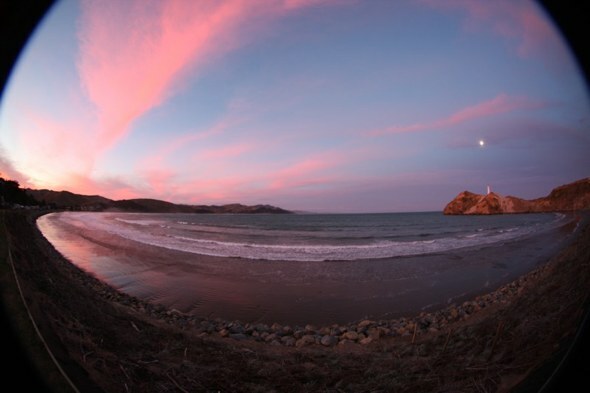 I arrived at Castlepoint about an hour before I took the photo above – I’d carted all my gear into the house I was renting, made a few drinks & then noticed the sky was kinda red outside. Grabbed my camera & the photo above is what I saw. It was a necessary reminder that some natural phenomena are ephemeral & fleeting. 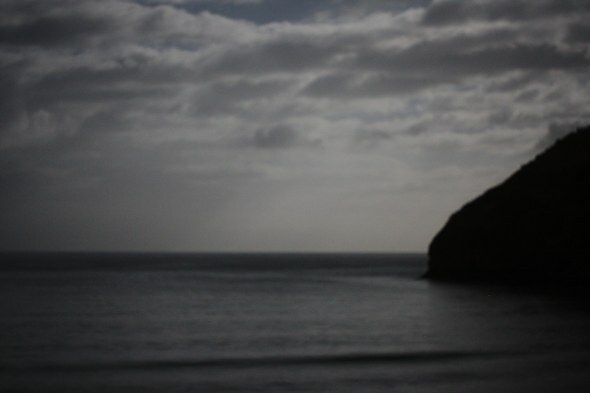 I took maybe a dozen photos in five minutes, and then it was gone, like it never existed…. This is a frame from a timelapse I started about 6.30am – had I been awake when this frame occurred I would have walked down & offered those fishermen serious money for whatever they caught before dawn…. Of course this is why I was here. As anyone who knows will tell you, this reef is seriously scary. Towards my left by 5m is open, deep sea that rise & falls metres in a moment…. 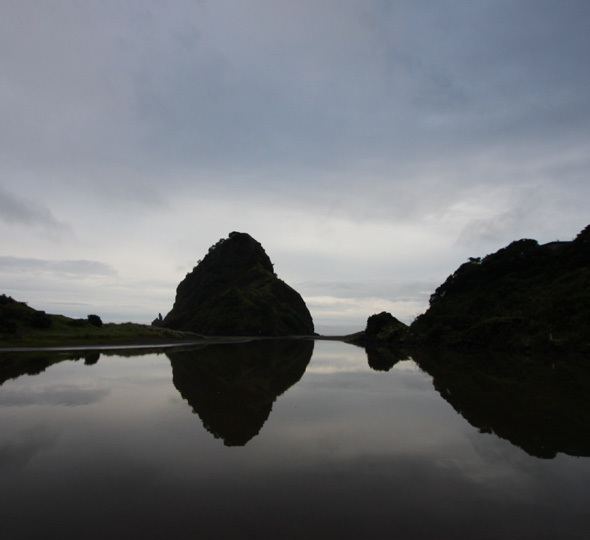 Any time other than low tide and I simply could not be standing where I am: any rogue wave would pick me & my gear up & sweep me into the lagoon in the blink of an eye, and that would be preferable to being sucked out into that deep pounding sea …. Each wave through the gap that I was recording varied – I haven’t loaded up the recordings yet but I am intrigued to see if the big surges follow the same pattern as the blow holes in Taga, Samoa. I’d guess 2 out of every ten waves was BIG, like the one in the photo, and it was created about 30 seconds prior by the turbulent sea just off the reef. 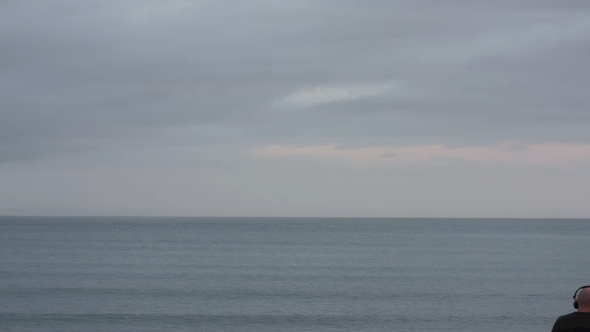 There is a saying worth never forgetting: Never turn your back on the ocean. Some randoms came wandering along at one point “Just being nosey…” – I offered them my headphones & made the shhhhhh symbol – they were listening to the boom with the CSS5 which I was putting into the void, where the wave would surge through…. 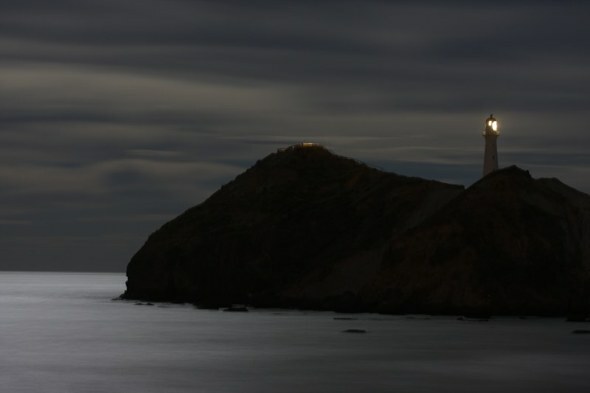 “WOW Sounds like thunder” – Shhhhhh! 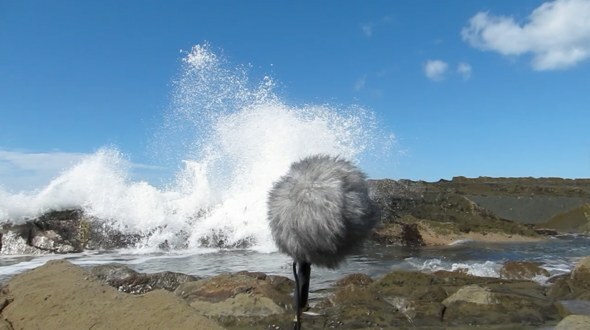 This was a new recording spot I found along the no exit road to Mataikona. 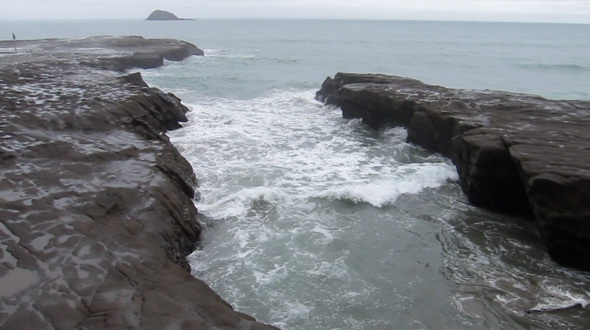 With the tide out, but on its way back in, I noticed the big waves smacking into the rock outcrop in front of the mic. I walked across a weirdly slotted rocky beach, and the 300m I crossed to get there would all be underwater when the tide was in. Ten minutes recording and I was out of there!